"The one thing I’ve noticed is that the best CEO’s—the one’s whose companies make money year after year—are like the best teacher you ever had. They are able to take the complexity and mystery out of business by focusing on the core fundamentals." Business acumen is one of the most commonly used buzz words in organizations today. It is a characteristic that seemingly all businesses want in their leaders, yet, why is it such a rare quality to find? When you further examine what business acumen is, it’s a type of business savvy that one could compare to street smarts. In his book What The CEO Wants You To Know, esteemed author Ram Charan examines the basic building blocks of business (Cash, Margin, Velocity, Growth and Customers) and how the world’s best leaders are able to simplify complex business down these simple building blocks. Charan learned valuable business lessons as a child working at his family’s shoe shop. The simplicity of his experiences growing up, coupled with the work he does today (senior advisor to CEO’s and Senior Executives, author, former professor at Harvard and Northwestern) helps paint a clear, understandable picture for the reader to understand. What The CEO Wants You to Know is a short read that will help business professionals—from the C-suite to the mail room—understand that underneath it all, business is basic, simple and adheres to universal fundamentals. 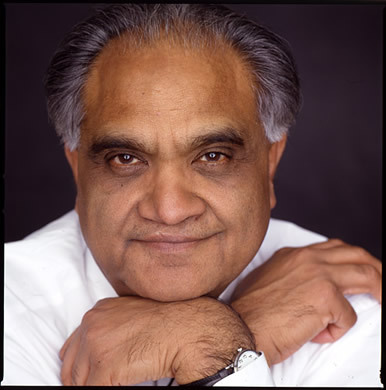 "Think like a street vendor"
Ram Charan preaches simplicity hard and heavy throughout the book and constantly challenges us to think about business like a street vendor. So often we as business professionals get so bogged down in our formal educations, the size of our companies, and the challenges which face with our customers, that it’s easy to understand how the majority of people don’t fundamentally understand how their business operates. In order to change that we need to focus on understanding the five essential elements of business which are: Cash, Margin, Velocity, Growth and Customers. Cash – How it’s generated and why it’s critical. Margin – The importance of making money and being profitable. Velocity – The process through which you turn inventory or capital. Growth – What creates growth and why. Customers – The simple reasons they buy from some businesses and not from others. Think like a street vendor! If you can examine your business and how it operates in these five basic areas, “you are on your way to thinking and acting like a true businessperson and a successful CEO”. "Every company faces challenges. Begin by making sure you understand the ones your company faces." Most would agree that leaders must have strong business acumen to lead and to grow their businesses, especially at the top. We also know that becoming a senior leader with that level of capability and experience doesn’t happened overnight, but that doesn’t mean you can’t start today. What were your company’s sales during the last year? Are sales growing, declining, or flat? What do you think about this growth picture? What is your company’s profit margin? Is it growing, declining, or flat? How does your margin compare with your competitors? How does it compare with those of other industries? Do you know your company’s inventory velocity? It’s asset velocity? What is your company’s return on assets? Is your company’s cash generation increasing or decreasing? Why is it going one way or the other? Is your company gaining or losing against the competition? As you take a step back and a more clear overall sense of your business ask yourself: What questions do I have as a result of this information? Are there any answers that are unclear to me? If so, ask a colleague, boss or organizational leader. This is another step in building your business acumen and positioning yourself for a future leadership position. "Running a one-person business may seem simple, but it requires many decisions." There is a lot we can learn by viewing our business like a street vendor. Being a street vendor requires one to know every aspect of the business: product, sales, customers, competitors, profit margin, return on assets, inventory velocity, etc. In most large businesses today, we are slotted into specific roles and job functions which limit our broad view of how our organization holistically operates. While it might not be our job yet to have to know all of that, being able to understand these building blocks of business will help to position the trajectory of our careers. This small book is powerful in teaching any business person the fundamental building blocks of business. Ram Charan’s writing style is easy and engaging and his examples throughout the book make complex business terms easy to digest, learn and understand. Cash, Margin, Velocity, Growth and Customers. Understanding these terms will help you to comprehend how your business operates, how your company makes money and how your work impacts the bottom line. And that is What The CEO Wants You To Know!